OnePlus 5 is undoubtedly one of the most Popular and one of the most Powerful Budget-Friendly Android Smartphone in the Market. And If you are someone who has a OnePlus 5 and you like to play with your Smartphone by Rooting, Installing Custom Recoveries, Flashing Custom ROMs, then this tutorial is just for you. Well, Rooting and Installing Custom Recovery on the OnePlus 5 is a fairly simple and easy job for you if you have ever rooted any Smartphone just Unlock Bootloader, Flash recovery, then sideload the latest SuperSU ZIP. But if those words make you Scratch your Head, then don’t worry, we are here to guide you. So at first let us take a look at the Pre-Requisites. A Windows Laptop or Desktop. Once you have all these Prerequisites, you are ready to Rock! Just Simply follow these Steps. In this Step, we will Enable the OEM Unlocking which will help us in Unlocking the Bootloader. But at first we need to Enable Developer Options, in order to do so, follow these Steps. Go to Settings on your OnePlus 5. Now Scroll down and tap on About Phone. Tap on Build Number 7 times Continuously. You have enabled Developer Options. Go to Settings, and Tap on Developer Options (at the bottom). Now you should see an Option for OEM Unlocking, just Enable it. Power Off your OnePlus 5. Now turn it back On by holding the power and volume up buttons for about ten seconds until the Smartphone boots into the Bootloader Mode. Release the Power and Volume Up keys. On your PC, head to C:\Program Files (x86)\Android\android-sdk\platform-tools or directory where you extracted ADB and Fastboot Tools. Now anywhere inside the Folder Right Click the Mouse while holding the Shift Key. You should see an Option for “Open Command Window here”, Click on it. Now Hit Enter on your Keyboard. 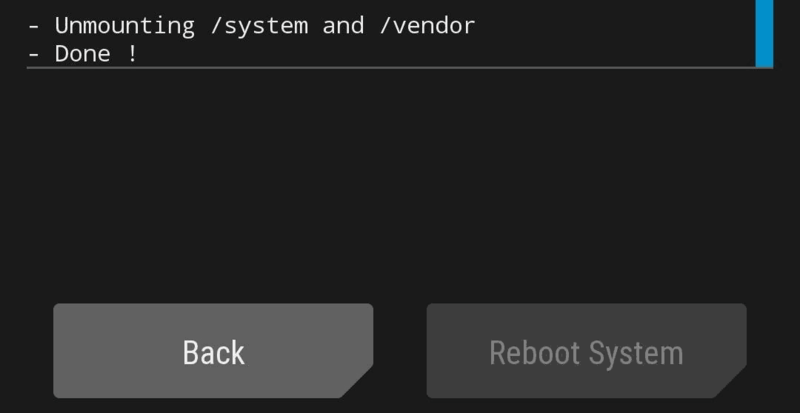 Your OnePlus 5 should get a Prompt for Bootloader Unlocking now, Use the Volume Key to Select “YES” and Power Key to Confirm. Your OnePlus 5 will display a Screen saying that all of your data has been wiped. Wait for the Device to Reboot itself. Step 3:- Flash TWRP Recovery. Since all the data and settings have been restored to default, you need to re-enable the USB Debugging on your OnePlus 5. Connect your OnePlus 5 with your PC via USB Cable. Open the Folder that Contains the TWRP file you just downloaded. Drag that TWRP file in the Command Window. You should now see the Location of the file displayed on Command Window. Hit Enter and wait for the Flashing Process to get Completed. You should see something like “finished. Total time: <Sec> “ which means that the Flashing Process is Completed. Use Volume Keys to Select “Recovery Mode” and Confirm this Selection by Pressing the Power Key. Now enter the following Command in the Command Window. Open the Folder that Contains the SuperSU file you just downloaded. Drag and Drop that SuperSU file into the Command Prompt. You should see the Destination Path on the Command Prompt, hold on don’t hit Enter key this time. On your Phone, tap on Advanced, then “ADB Sideload” and Swipe the bar at the bottom. Now hit that Enter Key on your Keyboard. Wait till you see a Message on your Phone stating “Done !”. At last, Tap on Reboot System. Now, this Last Step will help you verify that you have Successfully Rooted your Oneplus 5 Smartphone. Go to the Google Play Store and search for “Root Checker”. You will get a bunch of Apps, download any one of them. Once the App is installed on your Android Smartphone, Open it. Now you’ll get a SuperSU Prompt asking for Root Permission, tap on “Grant’. Now the app would say Rooted. 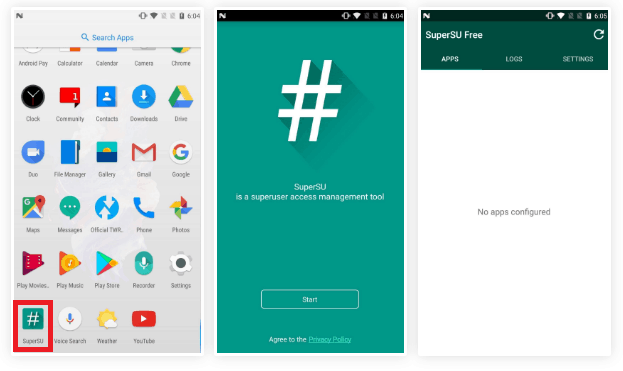 Don’t wanna follow above Steps?, No worries just Check-in Application Drawer on your OnePlus 5, you should see a New Application installed, that is SuperSU. Open the SuperSU App on your OnePlus 5. If the App doesn’t say “SU binary not installed,” then it means that you have Successfully Rooted your OnePlus 5. Facing any Problems? Have any Queries?, let us know in the Comments Section down below.